* Full-time Jackson College Student with 42 credits at a 4.0 GPA (as of Jan 2019), will graduate with an Associates in Business in Spring 2020. Josh has been on the Deans List nearly every semester. Upon completion of the Associate’s degree, the recidivism rate will drop from 3.75% to only a 1.75% chance of returning to prison. This education is paid for by his loved ones NOT the state of Michigan or a grant. *Josh has volunteered as a Lab Assistant helping tutor other Jackson College students in Computer Information Systems (CIS) for 3 semesters. *Josh completed the 40 days of Peace program and was trained to be a gang mediator by Kit Cummings in this program. 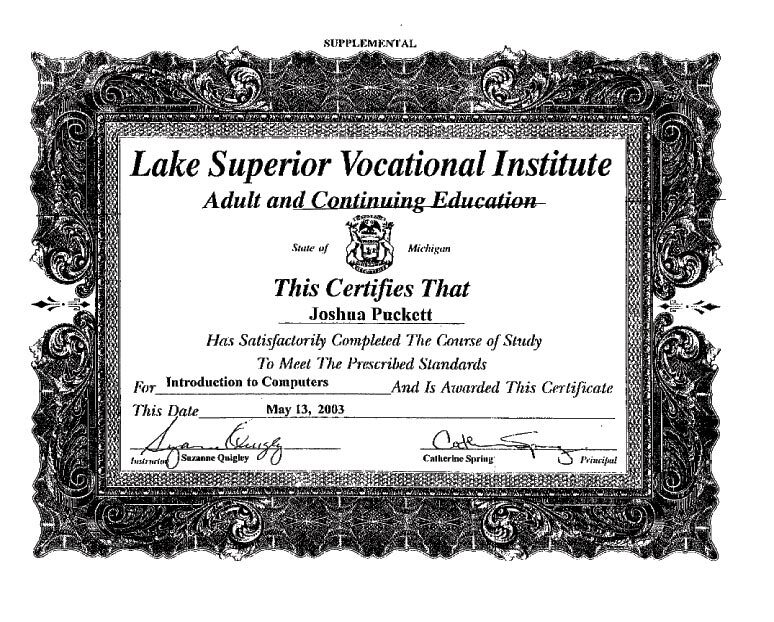 Josh helped lower violence at the Muskegon Correctional facility during this program. * Josh has used his Horticulture skills to volunteer in prison gardens that donate to the local women’s shelters, in Jackson, Ionia, Muskegon, and the upper peninsula of Michigan. 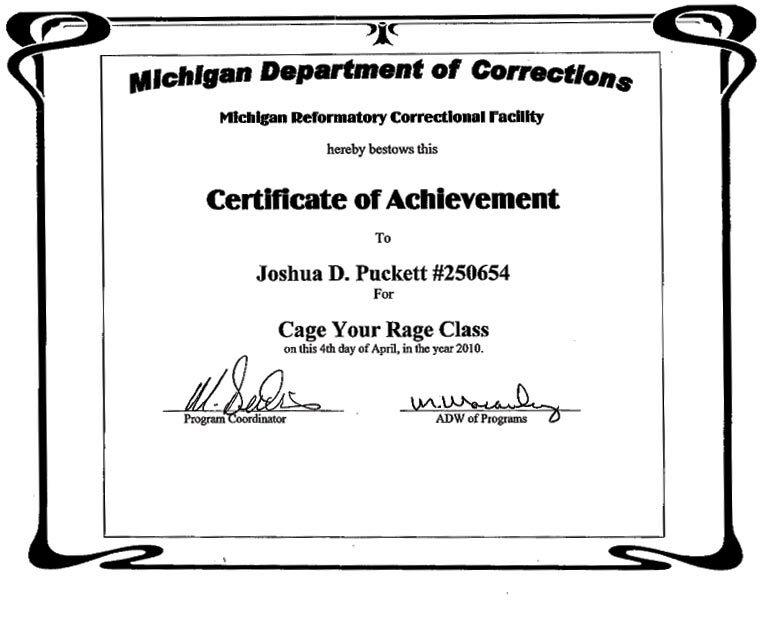 * Josh has completed every MDOC required class except one, which he can’t get unless he has an outdated. He has completed Thinking 4 a Change, Cage your Rage, Dialectic Behavioral Therapy, and many other cognitive behavioral therapy classes to change his criminal thinking patterns. He was even trained to facilitate Cage your Rage. Which he did at the Michigan Reformatory one of Michigans oldest and most dangerous prisons. * Josh was given a complete psychological exam & Parole Risk Assessment in 2010 by Renown Dr. Steven Miller. The evaluation revealed that Josh was no longer a threat to society and predicted he would not re-offend. * Josh has not burned bridges with his friends and family and will be moving in with his Aunt in North Carolina, and attending University of North Carolina Ashville, for Bachelor’s degree in Business within a few months of his release. * Per CAPPS the recidivism rate for Homicide offenders is 7%, the Michigan average is currently 29.8% for non-homicide offenders. When you add a Vocational trade this drops Josh to 3.75% and nonhomicide offenses to 16%, when Josh received his associate’s degree this will drop him to a Recidivism Rate of 1.75%. Do, you want to keep a man that has a less than 2% chance to re-offend in prison. Josh costs the taxpayers of Michigan $36,000 per year, not including medical care. Josh has cost you the taxpayer approx. $864,000 thus far. Do you want to keep paying for a man who will have a less than 2% chance of reoffending?